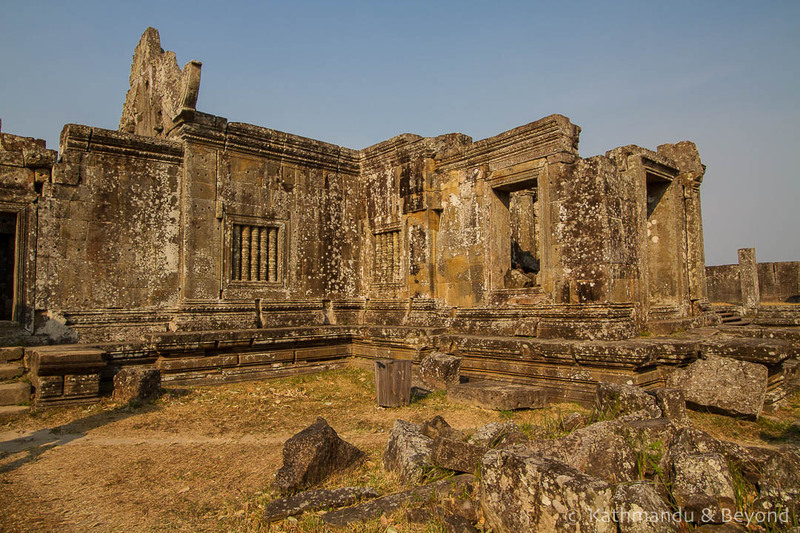 Preah Vihear Temple: A brief guide on why this UNESCO World Heritage Site is so controversial, how to get to Preah Vihear and is it safe to visit? Situated atop a 525m high plateau in the Dangrek Mountains, Preah Vihear is one of the most dramatically located Khmer temple complexes known to have been constructed. At least two hours are needed to explore this 800m long sanctuary that was built by seven successive Khmer rulers over the course of two centuries. So why is the temple controversial? The Dangrek Mountains act as a natural border between Cambodia and neighbouring Thailand and as a result the temple has been the centre of a lengthy ownership dispute between the two countries. Dating back to the 1950s, this contention has gone way beyond heated exchanges of words and strained political relations. Both countries had a strong military presence in the area for a long period of time and have very nearly gone to war on more than one occasion over the ownership of the temple. In 1962, the International Court of Justice in The Hague ruled that the temple was situated on Cambodian soil, but not long after this ruling Cambodia was dragged into its darkest period of history by Pol Pot and his evil regime. During this time, the temple remained accessible from the Thai side until it was occupied by the Khmer Rouge in May 1975 (*). (*) The Khmer Rouge made many attempts to capture Preah Vihear prior to May 1975 but because of the temple’s hilltop (fortress-like) location, they were unsuccessful. 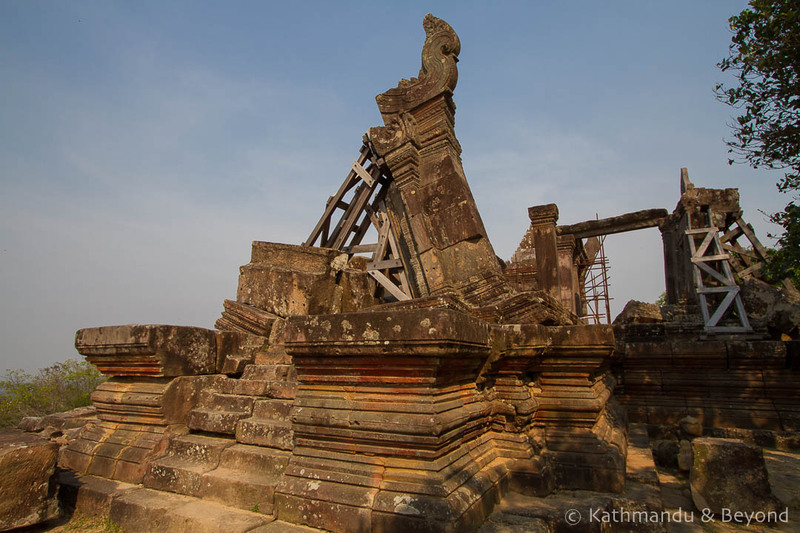 It is said that Preah Vihear temple was the last place in the country to fall to the Khmer Rouge. Off-limits to everyone during this time, the temple eventually reopened to visitors in 1998 but again, access was only possible from the Thai side. This was a relatively peaceful period in the temple’s chequered modern day history. Indeed Kirsty and I first visited Preah Vihear in 2007 from Thailand. We had to leave our passports at the Thai checkpoint but apart from that, we were free to wander around at will. However, in 2008 the temple received UNSECO World Heritage status. This re-ignited hostilities between the two nations but this time the dispute was centred on the land that surrounded the temple rather than the site itself. Up until 2011, there were periodic exchanges of gunfire between Thai and Cambodian troops which resulted in fatalities and injuries on both sides. 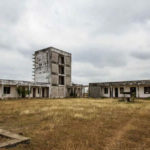 With each country blaming the other for the military outbreaks, the International Court of Justice once more intervened and in 2011 ordered both countries to withdraw their military forces without delay. This didn’t exactly happen according to plan (*) but a Mexican stand-off style truce has been in place since then and the temple is now receiving more visitors than ever before, albeit from the Cambodian side as the access from the Thai side remains closed indefinitely. (*) Cambodia still has a large military presence around the temple. We saw plenty of troops, bunkers and heavy artillery during our visit in February 2016. We cannot vouch for the situation on the Thai side. As mentioned above, Preah Vihear temple has been peaceful since 2011 and thousands of visitors have come to see the site. That said, the situation is still a delicate one, particularly for the Thais who arguably lost this dispute, so it is always prudent to check the latest security situation before signing up for a visit. It can be a little tricky to pinpoint Preah Vihear temple on a map particularly as there is a town called Preah Vihear City which is over 100km from the temple itself. On Google maps the closest place to the temple that is easily identifiable is Angkrong which is where the ticket booth and turn off to Preah Vihear temple is located. The closest place to Preah Vihear temple with any accommodation is the small town of Sra Em (see below). Click on the map below to see Preah Vihear’s location in relation to other places in Cambodia. 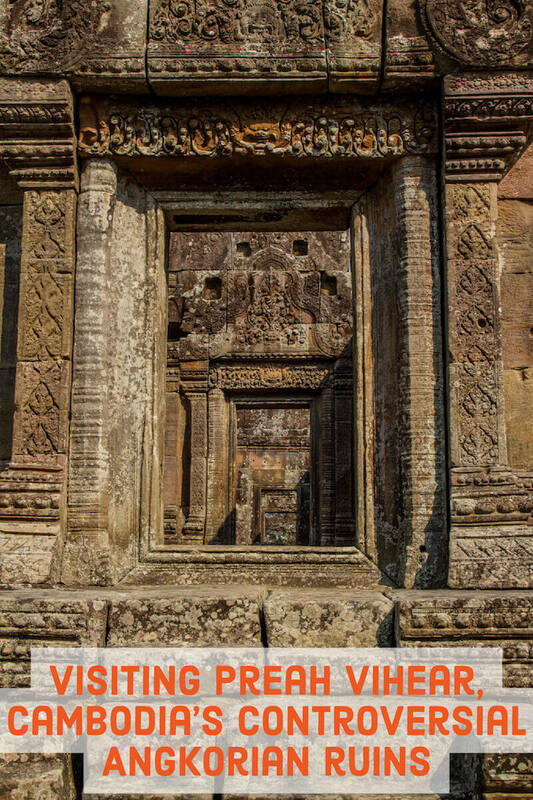 Once remote and difficult to reach, the construction of excellent roads from all directions (Siem Reap, Anlong Veng, Stung Treng) (*) now means that visiting Preah Vihear temple is more straightforward than it used to be. (*) These roads were not only constructed to service the military movement in the region but also to ensure access for the Cambodian people – the temple is a massive source of nationalist pride for the Khmers. However, public transport in this region is limited. There are a few public buses and some shared taxis servicing Preah Vihear City and Sra Em from Phnom Penh, Siem Reap and Kompong Thom but there is no public transport to the temple itself. 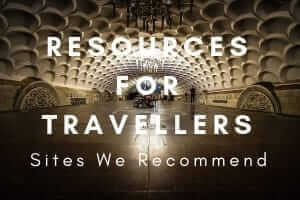 You either need to visit on a tour, have your own transport, take a taxi or rely on moto (motorbike taxi) drivers to get you there. It is possible to visit Preah Vihear as a day trip from Siem Reap. You couldn’t do this on public transport but there are numerous travel agencies in Siem Reap offering tours. It’s a long day and will involve a lot of driving. 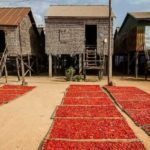 Alternatively, consider staying overnight in either Preah Vihear City or the small town of Sra Em. Preah Vihear City is 115km from the Preah Vihear temple ticket booth while Sra Em is 30km away. Accommodation options are generally superior in Preah Vihear City but it is obviously further away from the site. The exception is the Preah Vihear Boutique Hotel in Sra Em, which is the most upmarket place to stay in the region. It’s quite expensive for what you get and it’s a bit rundown these days but it’s worth considering a splurge for one night. Upon arrival at the ticket booth, you’ve still got to arrange separate transport to take you up the mountain to the temple itself. 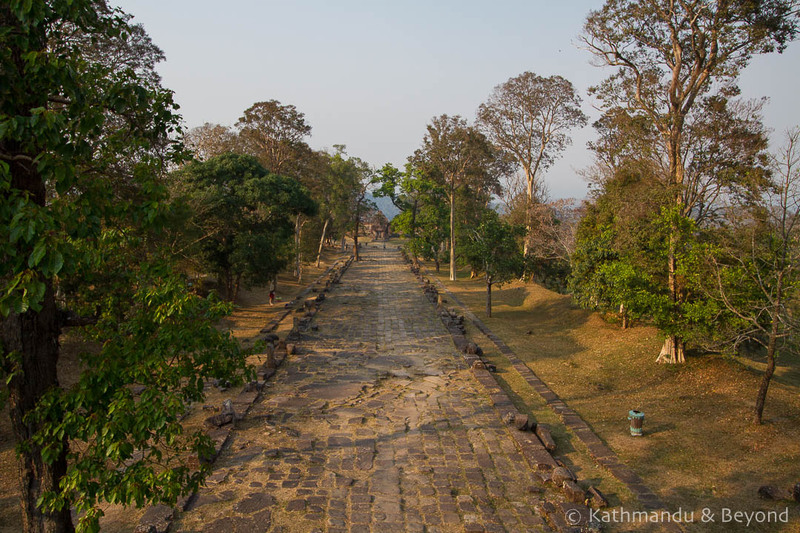 The road up to the temple is in good condition (smooth and paved), but the reason alternative transport is required is that the final stretch travels up an incredibly steep incline which regular cars cannot handle. The options are either a 4WD pickup truck or a moto. The price of a moto is US$5 per person whilst a truck costs US$25 for up to six people. Both prices include waiting time. The transportation arrangements are well organised, with trucks clearly labelled with numbers. Although it was busy with tour groups and locals when we arrived (we visited during Chinese New Year), we didn’t have to wait too long before we were on our way. We took a truck and the journey to the top took around 15 minutes. Note the last transportation to the temple leaves at 3.30pm and visitors are ushered out at around 4.30pm. An hour is not long enough to do the temple justice so arrive earlier if you are planning to visit in the afternoon. If you have your own 4WD vehicle or motorbike you are allowed to drive to the foot of the temple by yourself but be warned, it is very steep! Until recently, visiting the temple used to be by donation only but the authorities have now introduced an official US$10 per person entrance fee which you pay at a separate counter before arranging your transport. The ticket is checked at the foot of the hill. You should also carry your passport with you as this may be checked. 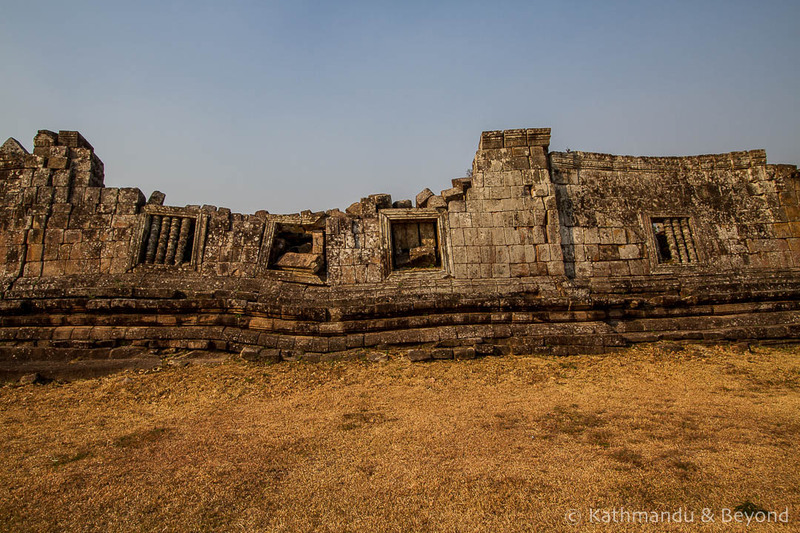 Is Preah Vihear Temple worth visiting? This depends on how much time you have and your level of interest in Angkorian temples. 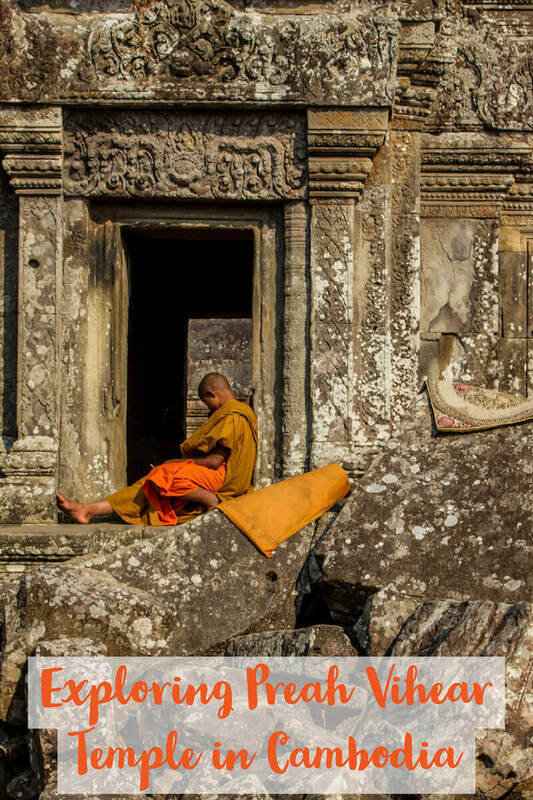 Put bluntly, if you have limited time in Cambodia, and in particular at the temples of Angkor, then I would say it is not worth trying to include a visit to Preah Vihear. It is quite a hassle to get there and involves a reasonable amount of expense. 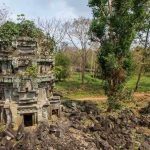 Closer to Siem Reap, the Roluos temples, Beng Mealea and Koh Ker are examples of lesser-known temples that are worth seeing and require less time and expense to visit. On the other hand, if you are into your temples (as we are) and want to see all of the big hitters then Preah Vihear is a must. 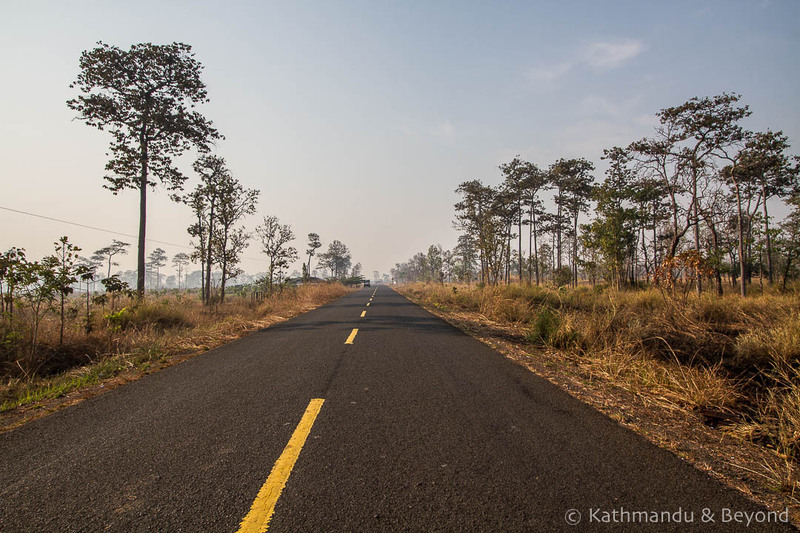 Equally, if you have plenty of time in Cambodia and are travelling from Siem Reap to the Laos border, the province of Ratanakiri or across to Kratie for example then Preah Vihear is a great place to break the journey. In short, if you have plenty of time and are up for an adventure, go for it! If you only plan on visiting Phnom Penh and Siem Reap then don’t spend one of your precious Angkor days visiting Preah Vihear. Apologies for the poor quality of our photos. There was a huge amount of slash-and-burn farming going on in the countryside surrounding the temple during our visit and as a result, the quality of the air was poor and the visibility hazy. The photos look alright to me. We get hazy weather sometimes in Singapore too. The sky isn’t as pretty on those days but it softens the light. Besides its recent history, was there anything special about Preah Vihear, like the sculpture or the architecture? Thanks! It’s an good question about the temple itself. It is interesting architecturally and the overall size and location of the site is undeniably fantastic but for me personally, I think there are more impressive temples closer to Siem Reap that are much easier to visit. That said, the drive up to Preah Vihear is good fun as long as someone is doing the driving! Nicholas, two things come to mind on the architecture. 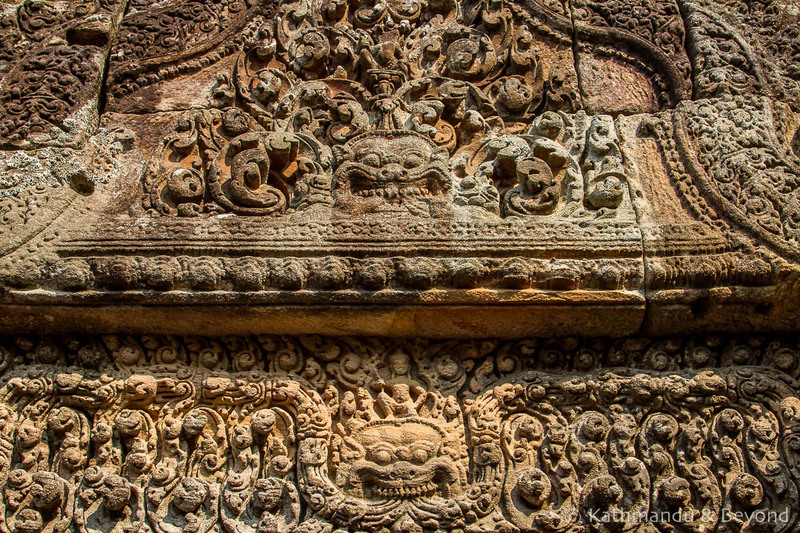 While most Khmer temples are rectangular in lay-out, this one has a very unusual linear design. It’s basically five different temples arrayed along an 800-meter processional avenue. 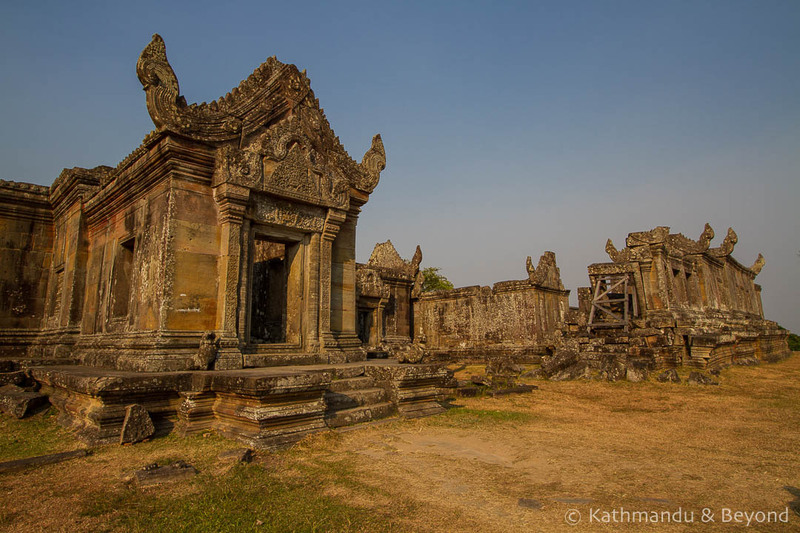 Also unusual–rather than the common east-west orientation, Preah Vihear lies north-south. There’s not much sculpture. Some has gone missing over the years but there seems also to have been a decision by the builders to stress bare stone over ornamentation. Thanks for your comment, John. It’s good to hear about why it was interesting on a personal level from Mark too. Yep, those are the three sites I visited. I agree they were over groomed, especially Phimai, as I remember. I did travel the route between Nong Khai and Mukdahan in 1992, and then 18 years later more or less paralleled that route on the Laotian side of the border, which wasn’t permissible for foreigners in 1992. Oh really, I didn’t realise Preah Vihear was often surrounded by haze – I don’t feel so bad about the timing of our visit now!! Looks great and no people around which I can’t say for the temples of Angkor. 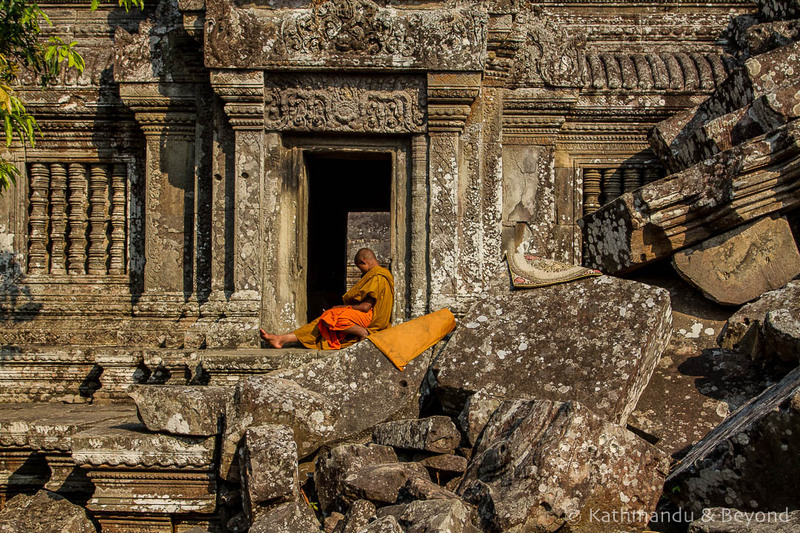 Reminds me of Banteay Samre, one of our favorite temples. Interesting history and you’d think they could have come up with some kind of profit-share agreement. Profit-share – I like that!! I was pretty busy actually when we visited earlier this year, especially when compared to our first visit in 2007 but nothing like the crowds you now get at the big hitters at Angkor. 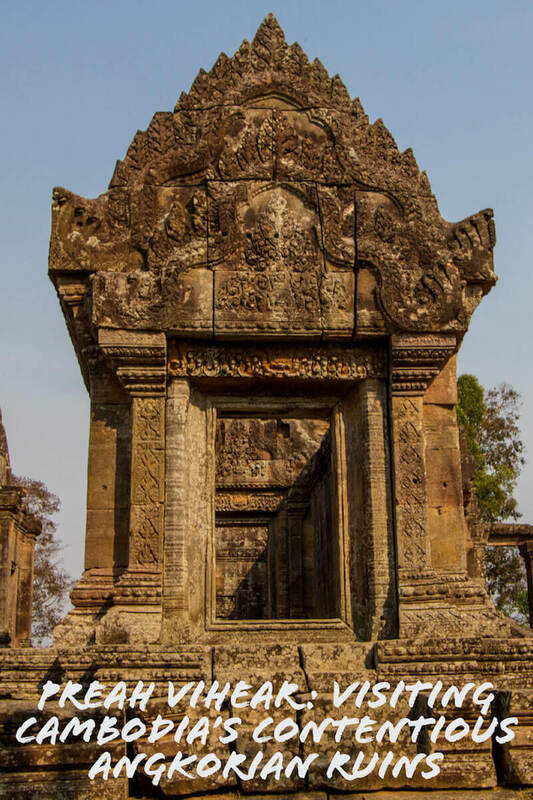 I can see the similarities between Preah Vihear and Banteay Samre when you look at the exteriors of both temples but I think the interior of Banteay Samre is more ornate than that of Preah Vihear. Yeah, leave it to an ex-accountant/finance guy. I can see the similarities but this one a whole bunch less restored…which is attractive in its own way.